The Bench is going to be one of the most unique spaces in Kelowna. 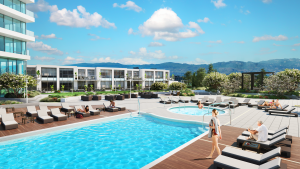 It will be a massive green space located four storeys above the ground as part of the ONE Water Street towers project, which is Kelowna’s largest new development. It will feature pools, a grand hot tub, a pickleball court, a dog park, barbecue and fire pits, and much more. There is no need to dream about that being your back yard, either, because it can be a reality through the Townhomes at ONE Water Street. 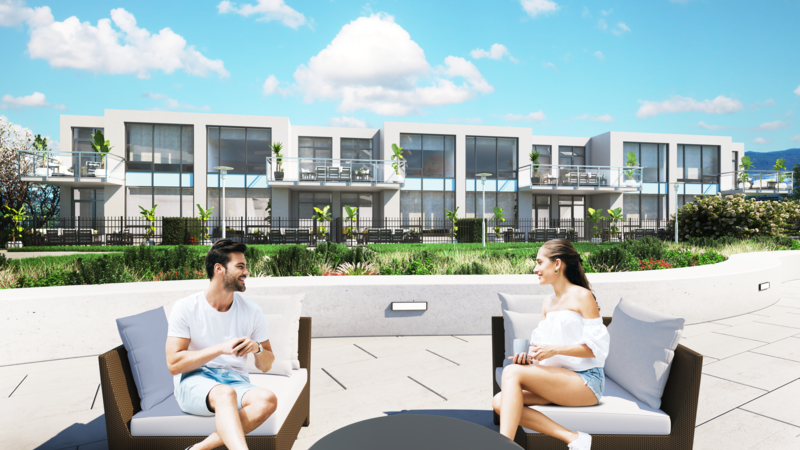 The 14 townhomes will be located at the base of the towers in downtown Kelowna, right next to The Bench, and there are only five left to sell. So the townhomes are bigger than the tower homes, they’re located right beside The Bench, and they also have yards to call their own. They are priced from $899,900 for 2,117 to 2,170 square feet of interior and exterior living space, and there are two floor plans from which to choose. “You walk out, you don’t have to take an elevator, and you can walk to the pools, dog park or pickleball court,” Watson says. “You have a small private yard, but you’ve also got a two-acre park as your back yard. 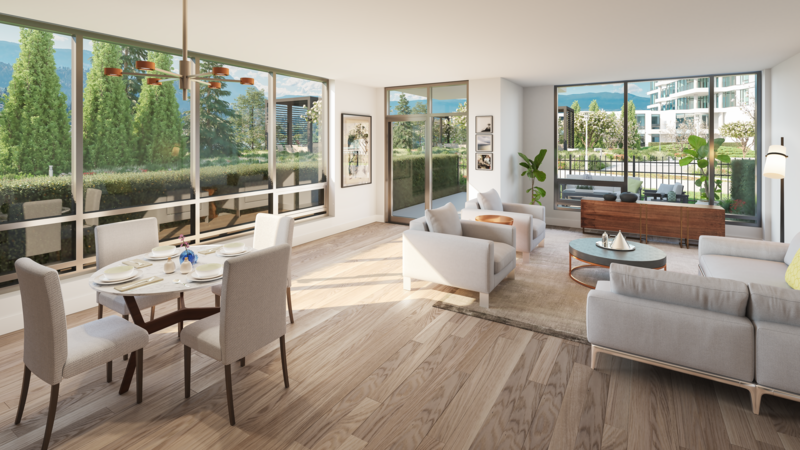 The ONE Water Street development is located on Water Street, Sunset Drive and Ellis Street, and Okanagan Lake is right across the road. Prospera Place is across the street as well. There will be shops located at street level of the development, not to mention the hundreds of businesses within walking distance of the massive project. The best part, however, will always be The Bench.